You’ll see that I’m only working in the BACK LOOP (OUTER LOOP) of the stitches around the edge, not in BOTH loops. 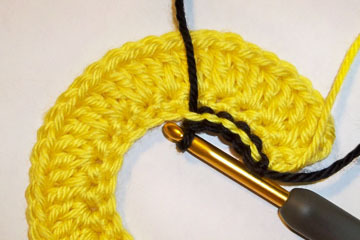 That’s the secret to this simple edging! Do you see the crooked spot in the black edging line on the right side of the piece (where the arrow is pointing)? 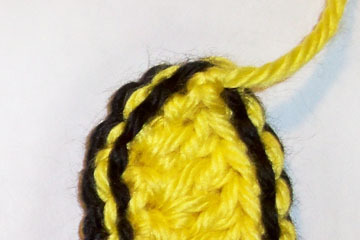 Those 2 lines (that look like a sideways “V”) are the back strands of a “single crochet”, not the straight line from a “slip stitch”. 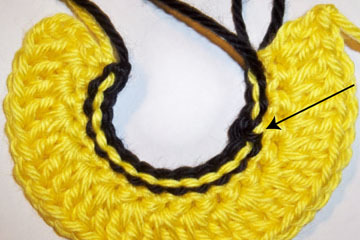 So it might be a good idea to check the back side of your work (the RIGHT SIDE of the piece, when working the edging on the WRONG SIDE) to make sure you haven’t worked a “single crochet” by mistake (it’s easy to do, believe me!). When you get back to the beginning of the edging, simply work a slip stitch in the first slip stitch and finish/fasten off. Weave the ends into the wrong side of the piece (the right side of the edging, as it is worked) so the ends won’t show on the right side of the piece. 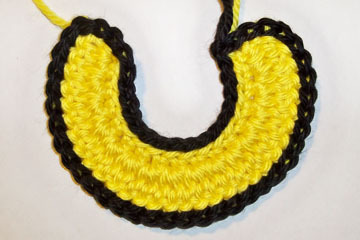 Then sit back to enjoy the beauty that this simple edging adds to your crochet project! 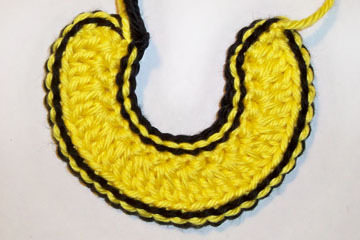 As you can see, this slip stitch edging doesn’t look that great on the wrong side of the piece, but I think it looks fantastic on the right side! 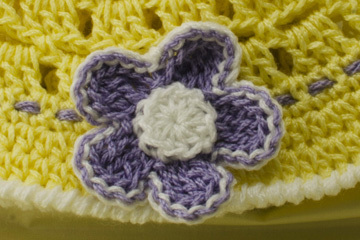 I used this slip stitch edging in my Bear Mitts pattern, Button Flower Pin pattern and Baby Sun Hat pattern. 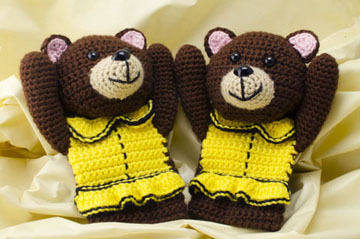 You can find these 3 patterns on my “Patterns” page. 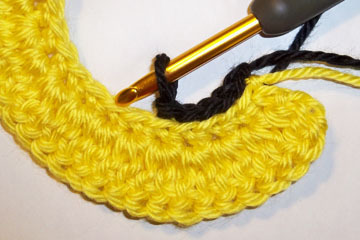 I hope you’ll give this quick, decorative edging a try soon in one of your crochet projects!